What Was The Deadliest Airship Disaster Of All Time? Although the tragedy of The Hindenburg was the most widely publicized and most widely remembered airship disaster in the history of aviation, The Hindeburg disaster wasn’t the first, the only, or the most deadly airship disaster. The 20th century can lay claim to over 60 airship disasters, including the deadliest. On April 4, 1933 the US Navy airship USS Akron was lost at sea during inclement weather. 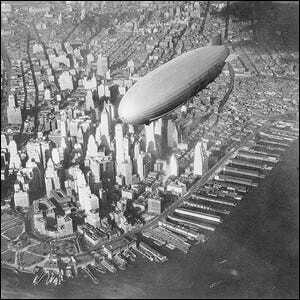 The ship, which shared the record for largest helium-filled airship with its sister craft the USS Macon, was never recovered and 73 out of 76 of the crewman aboard perished. One of several roles the USS Akron as equipped for was that of a flying aircraft carrier; it included a hanger capable of launching small spy planes.